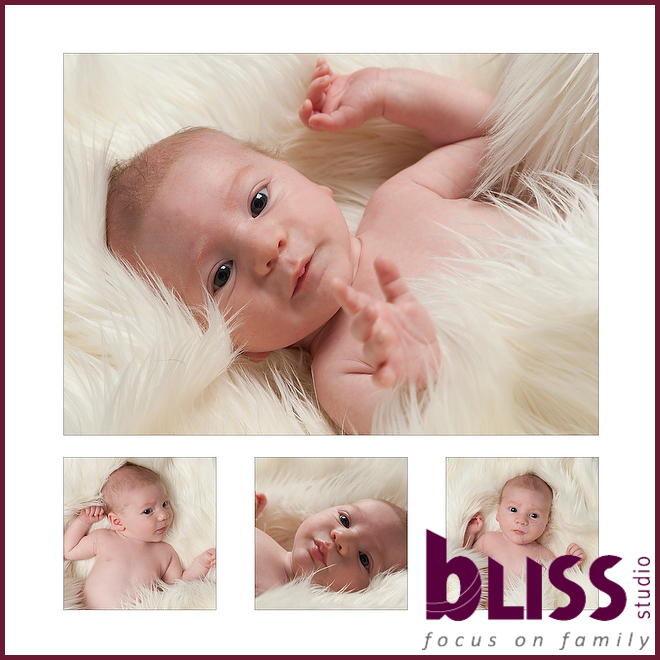 ‘Six week old Lucas loved getting all cosy in our luxurious fur blanket. Babies tend to fall into two categories – those that love having no clothes on and those that hate it. Lucas belonged to the first category and happily squirmed around on the soft fur while giving us some wonderful little smiles. Mum and Dad were obviously besotted by Lucas and couldn’t give him enough cuddles. Eventually in Mum’s arms he was happy to drift off to sleep while we kept shooting. 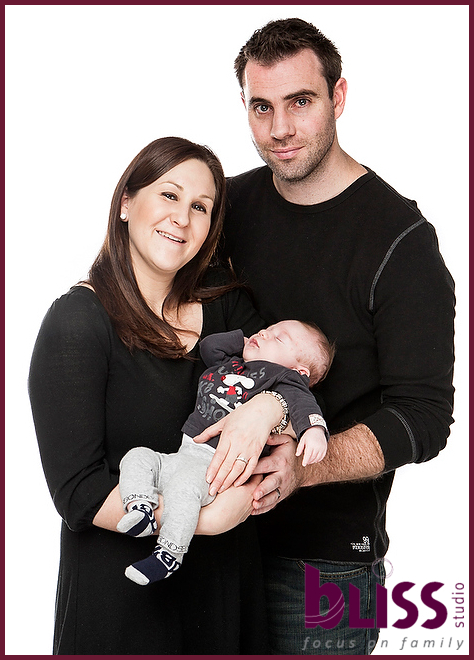 It always amazes me how we tip toe around babies being careful not to wake them – yet with studio lights flashing and moving equipment around most babies will sleep perfectly sound. We hope to see Lucas back in the studio sometime soon as I am sure he has already changed a lot.